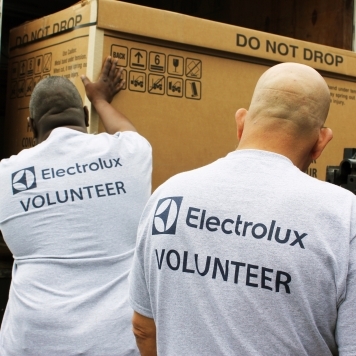 #ElectroluxCares social giving campaign raised $9,000 in additional donation dollars. Anderson, SC. April 26, 2017 — More than 18 percent of residents in South Carolina have unreliable access to affordable and nutritious food. 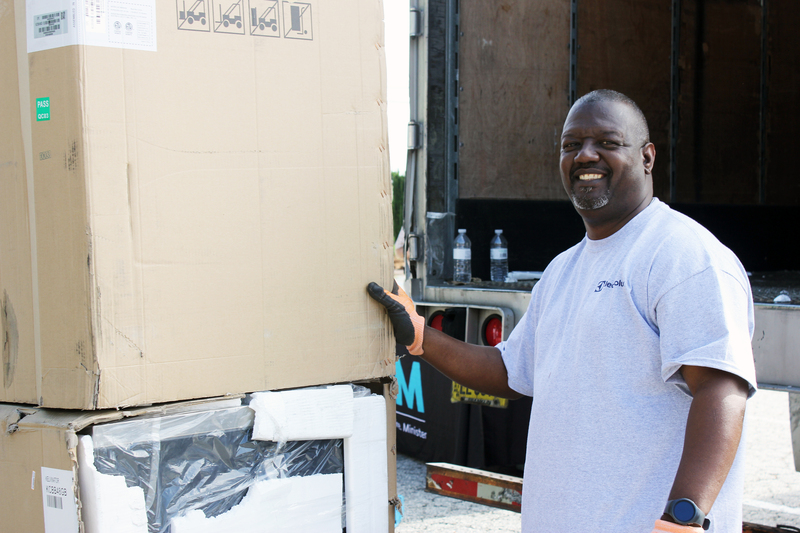 * Today, Electrolux donated a truckload of nearly 50 commercial-grade kitchen appliances to Anderson Interfaith Ministries for distribution and use in local soup kitchens, pantries and other organizations serving food to families in need. 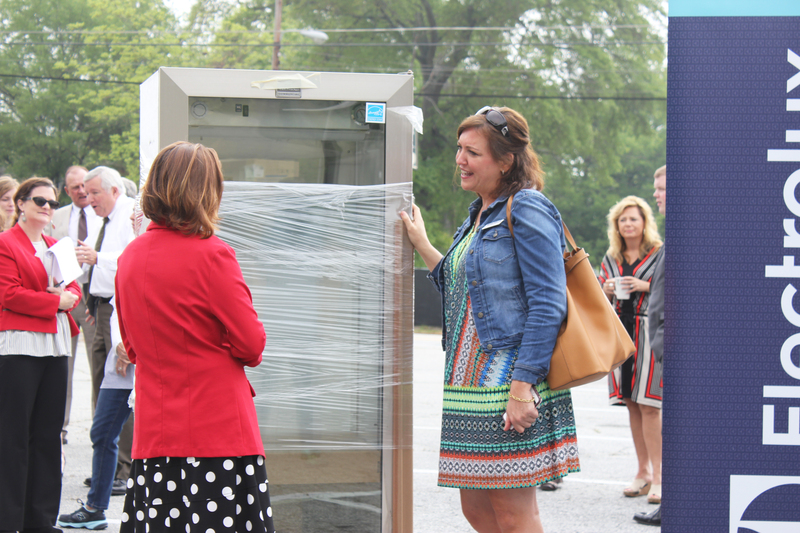 The donation, valued at more than $160,000, includes chest freezers, refrigerators, milk coolers and more. 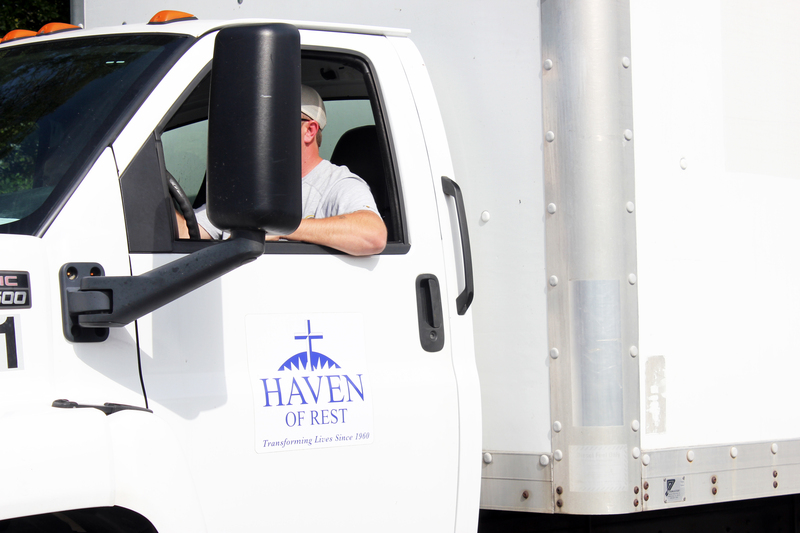 Beneficiaries of the donation include Haven of Rest, Meals on Wheels and Westside Community Center. 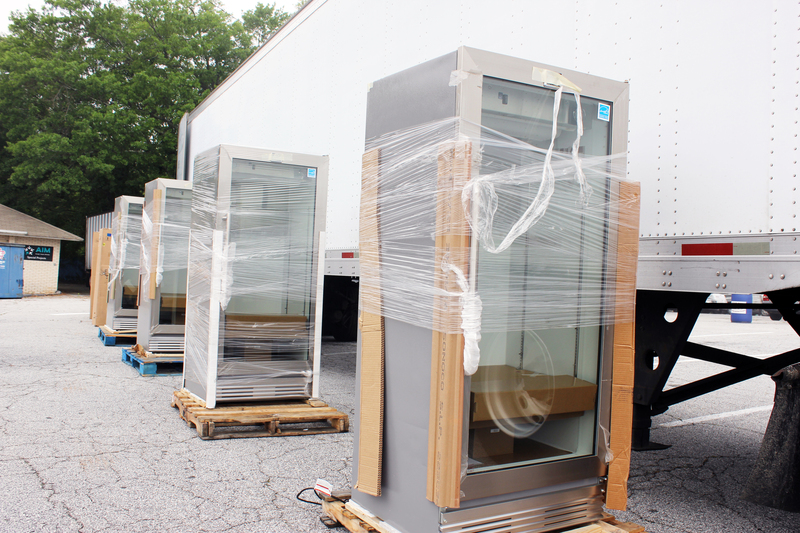 Electrolux also provided funding for 5,400 family meals. 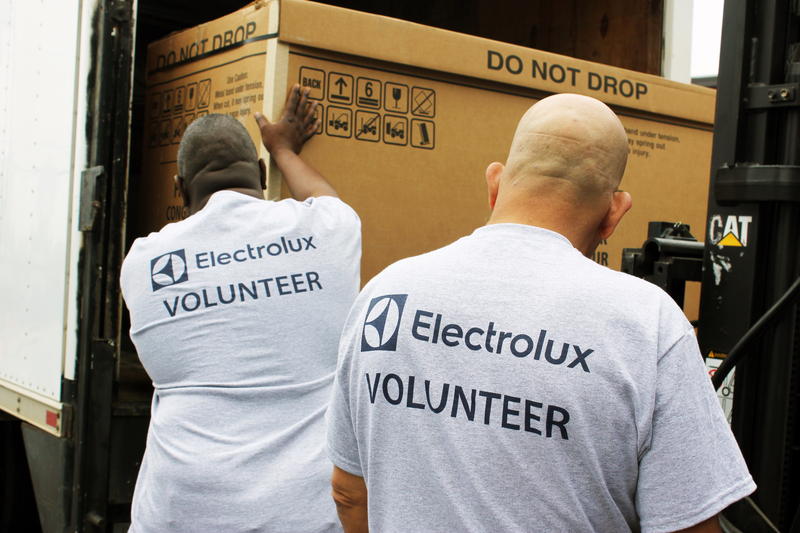 Electrolux also initiated #ElectroluxCares – a week long social media campaign that was fuelled by community engagement. For every retweet, like or share on an #ElectroluxCares Facebook or Twitter post, the company donated $5. 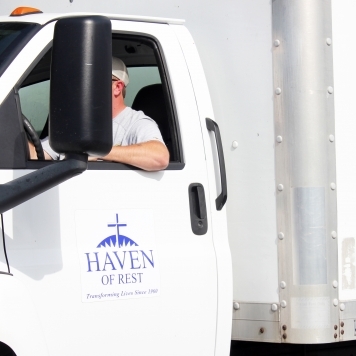 The program generated a total donation amount of $9,000 or 5,400 family meals to the Anderson Interfaith Ministries Food Pantry. 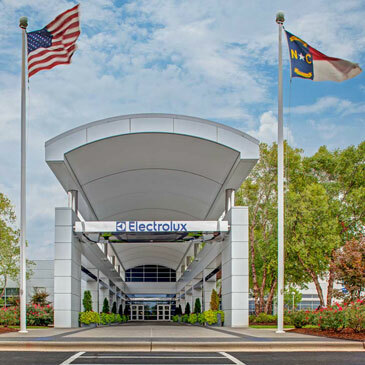 The Electrolux manufacturing facility in Anderson began operating in 1988 and produces approximately 2 million top mount refrigerators annually under the Frigidaire brand. Electrolux is a global leader in home appliances and appliances for professional use, based on deep consumer insight. We offer thoughtfully designed, innovative and sustainable solutions, developed in close collaboration with professional users. The products include refrigerators, ovens, cookers, hobs, dishwashers, washing machines, vacuum cleaners, air conditioners and small domestic appliances. 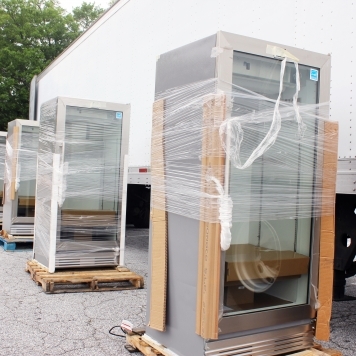 Under esteemed brands including Electrolux, AEG, Zanussi, Frigidaire and Electrolux Grand Cuisine, the Group sells more than 60 million products to customers in more than 150 markets every year. In 2016 Electrolux had sales of SEK 121 bilion and 55,000 employees. For more information go to www.electroluxgroup.com. 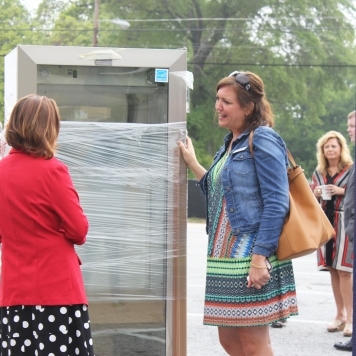 AIM is a nonprofit organization, serving Anderson County with supportive services to lead clients to self-sufficiency. 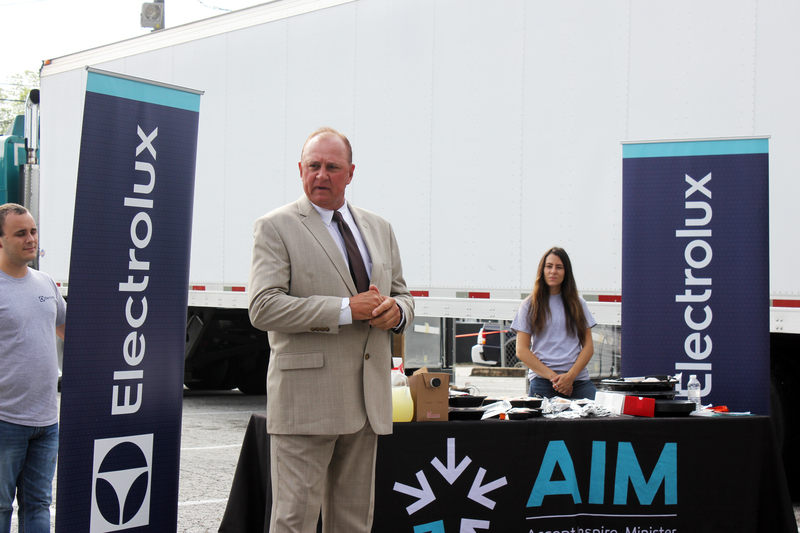 AIM does this through a continuum of services from utilities assistance, SC Help, Housing Rehabilitation, Hunger Ministries, and Education and Training programs. Established in 1990, AIM has partnered with collaborative agencies throughout the state to ensure long term sustainability for families. 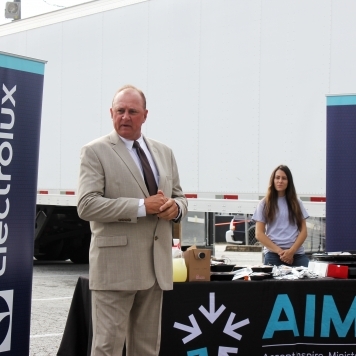 For more information about AIM, or how you can attend this event, please call 864-226-2273 or visit www.aimcharity.org.